Turning Up The Volume On The Electric Blues A new 12-disc compilation traces the history of electric blues from its inauspicious start through its heyday in the 1950s and '60s. Critic Ed Ward says Plug It In! Turn It Up! does "a great job of illuminating one particular aspect of the blues." Joe Hill Louis, B.B. King and Rufus Thomas appear on a new multi-disc compilation of electric blues, Plug It In! Turn It Up! Blues is so much a part of the fabric of American music and American culture — not only as a defined musical form, but also as a springboard for all kinds of creativity — that it seems crazy to try to encapsulate it in any way. Bear Family Records, though, has just released a 12-disc survey of electric blues called Plug It In! Turn It Up! that does a great job of illuminating one particular aspect of the blues. That said, if you want to hear the first blues solo recorded on an electric guitar — "Floyd's Guitar Blues," the first track on the first disc — it's not very good. Floyd Smith was a member of the Kansas City band Andy Kirk and His Twelve Clouds of Joy, and cut "Floyd's Guitar Blues" on March 16, 1939, using techniques that Hawaiian guitarists had made famous, although he seems to be playing a standard guitar. The record was a sensation, and many years later, Chuck Berry cut a version of it called "Blues for Hawaiians." But the first electric-blues guitar star was, no question, T-Bone Walker. Aaron Thibeaux Walker was from Dallas, and by 1950, when he made "Strollin' With Bones," he'd been a star for eight years. He'd influenced just about any young kid who could afford an amplifier and wanted to go out on the theater circuit, fronting a band with horns. But that wasn't the only place the electric guitar was showing up. Country guitarist Ernest Tubb always said that the reason his band started using electric instruments was to be heard over the noise in the bars it played, and that's probably why Muddy Waters plugged in after moving from Mississippi to Chicago. His 1948 record "I Can't Be Satisfied" is clearly a tune he'd played on an acoustic at one point, and it shows the beginnings of the tone that would make him famous. The discovery that an amplifier could distort an instrument's tone in a good way was made in Chicago's bars, and turned the harmonica into the poor man's saxophone in the hands of a master like Little Walter. 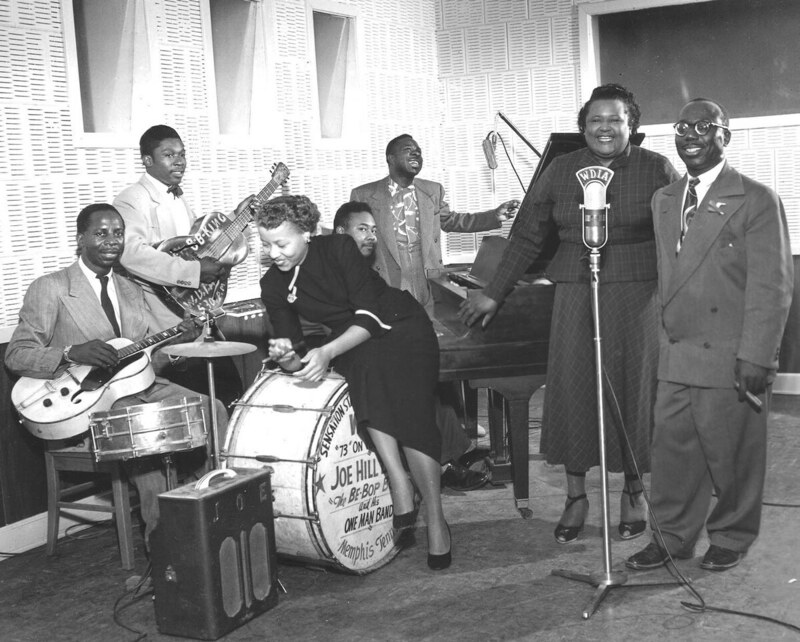 The tune "Juke" — on the second disc — was a smash in 1952, and was as much an inspiration to young harmonica players as any of T-Bone Walker's records had been for guitarists. But Chicago wasn't the only place electric blues was taking over. T-Bone Walker's disciples were all over Texas, too, as evidenced on an album by Fenton Robinson, laying down the licks in Larry Davis' classic "Texas Flood." Memphis, too, was a hotbed of electric blues. Pat Hare was only one of the several great guitarists Bobby "Blue" Bland got to work with over the years, and he's in fine style on the 1957 hit "Further On Up the Road." And a Memphis friend of Bland's who didn't record with him until much later deserves mention, too: B.B. King, who, with his electric guitar, went on to tour the world, playing some of the finest blues ever. 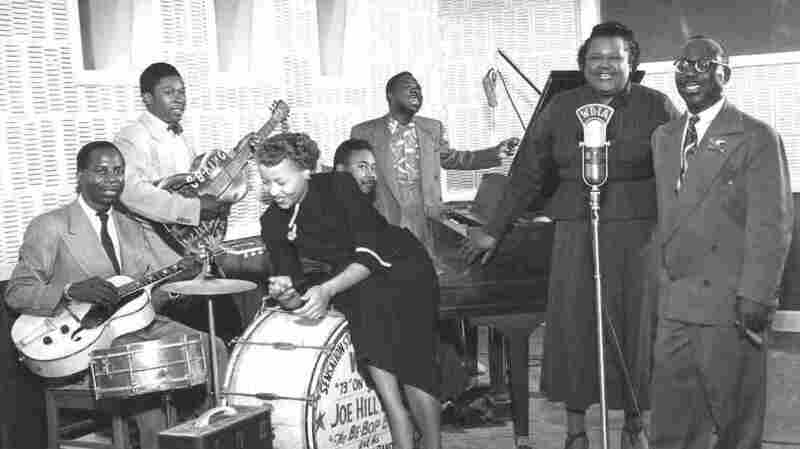 Electric blues' heyday was probably between 1957 and 1965, by which time its audience was aging and younger people were turning to soul music. It's become a cliché to say that the Rolling Stones and other British bands showed us our own heritage by playing their version of the blues, but the fact is that white people had been playing blues for years — some of them very well indeed. Harmonica player and vocalist Paul Butterfield, guitarists Michael Bloomfield and Elvin Bishop and the other members of the Paul Butterfield Blues Band were playing the same bars as their blues idols in 1965 when their record came out, and also backed Bob Dylan during his infamous electric appearance at Newport. The times were a-changin', and the blues were, too.